OnFiction: How do we tell ourselves about the New Year? 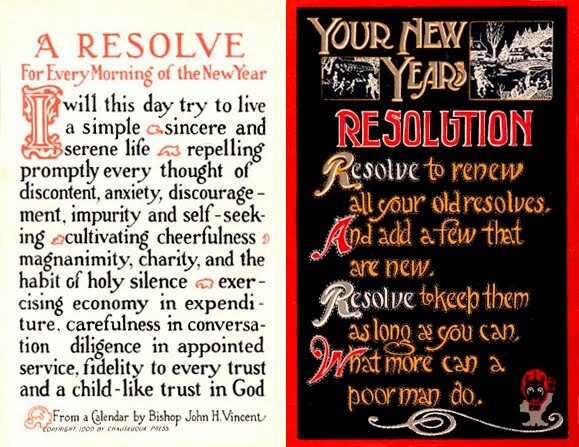 How do we tell ourselves about the New Year? 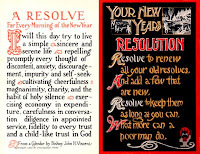 With New Year's resolutions hanging fancifully around this week's corner, it's interesting to return to the recurring question of how we understand and narrate our own goals. New Year's resolutions are a fascinating example of the tricky nature of goals. On one hand, they seem dauntingly simple: we know precisely the sorts of things we think would make our lives better. On the other hand, the trope of resolutions that need to be revisited yearly because they have yet to be successfully achieved reveals a misalignment between the seeming simplicity of setting goals and the complication of achieving them. When I hear people talk about the difficulties of achieving goals, they're usually lamenting the challenge of living up to their own expectations -- but rarely lamenting what seems to me a perhaps much more obvious problem of how hard it is to figure out what their expectations and aspirations should be. In addition to the (itself highly contested) Wikipedia entry on New Year's Resolutions, the literature on goal setting and received wisdom about resolutions both also suggest that it might be useful to reconsider the seeming obviousness of being easily able to access, understand, and set goals for ourselves. While much of this literature appears to focus on teaching or reminding people to understand the systemic nature of their goals more analytically (i.e. to recognize that some goals may symbolize other goals, or may be more achievable with intermediate sub-goals), it seems equally useful to also apply this yearly reminder to other domains in which we may over assume the certainty with which we know our own minds. The reflective mode projected onto northern hemisphere year end holidays in part by the darkest days may proffer an opportunity to retell ourselves our goals stories with more patience than we may often have for their complexity and complication. I, for one, realize that if I can store Christmas stories in my memory in the form of several dozen carols, I could probably indulge in a less reductionist process for considering what form of new year's narration might tell resolve.